"Why do you homeschool?" 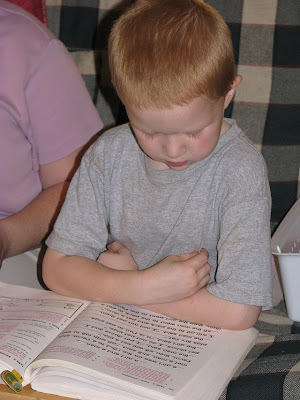 Ask that of any homeschooling family and you will receive a different answer from each one. There are many, many reasons people choose to homeschool and l would like to share with you why our family does. We feel called by the Lord to homeschool our children. We read in Deuteronomy 11:18-21 "Therefore shall ye lay up these my words in your heart and in your soul, and bind them for a sign upon your hand, that they may be as frontlets between your eyes. And ye shall teach them your children, speaking of them when thou sittest in thine house, and when thou walkest by the way, when thou liest down, and when thou risest up. And thou shalt write them upon the door posts of thine house, and upon thy gates: that your days may be multiplies, and the days of your children, in the land which the Lord sware unto your fathers to give them, as the days of heaven upon the earth." It seems to us that in order to teach our children throughout the day (as the passage implies) that we need to actually be with our children. We can't teach them throughout the day if they are somewhere away from us. Of course, this is not our only reason for homeschooling but it is sure food for thought! We really feel the Lord called us to homeschool-- to teach our children everything they need to know-- and that involves a lot more than Algebra and Chemistry. Our children's character is very important to the Lord and to us. Homeschooling allows us to have a strong hand in their character development. We are with them all of the time and are able to catch even slight nuances of "attitude", etc... and immediately begin to work to correct, instruct and most importantly pray with our children. Homeschooling also encourages our children to love one another, to develop close bonds with their siblings -- they are truly one another's best friends. Their hearts are tied to one another and to us. 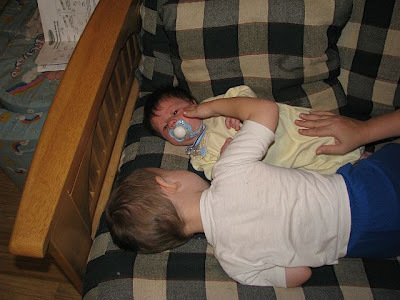 It is a precious thing to see your children really love and serve each other. 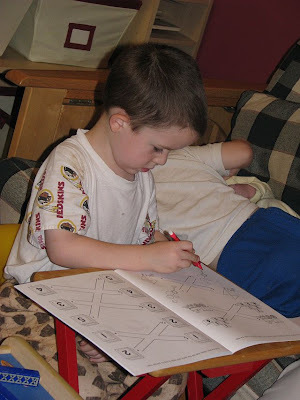 I am grateful every day that the Lord led us down this wonderful path called Homeschooling. I have the BEST life! Thank you Lord! !